Census data for Journey To Work was released on Monday, and many are taking a good look at the results. In Greater Melbourne, overall about 16.3% of people are using public transport to get to work — up from 14.5% in 2011. Comparing Bentleigh (3204) with neighbouring East Bentleigh (3165), I found some interesting differences. They have very similar populations. Bentleigh has about 31,000 people; East Bentleigh has 28,000. Bentleigh median age 38, East Bentleigh 40. Across both suburbs, there is an average 2.7 people per household, and in families with children, an average 1.8 children. Diverting from the Census data for a minute, let’s look at the suburbs’ transport infrastructure and services. Neither suburb has any freeways. Bentleigh has four railway stations: Patterson, Bentleigh, McKinnon and Ormond are all within 3204; Moorabbin is just outside the southern border. All of these are within about a 15 minute walk. Services are about every 10 minutes for most of the day (the graph below excludes express services, which don’t stop in Bentleigh). East Bentleigh only has buses. 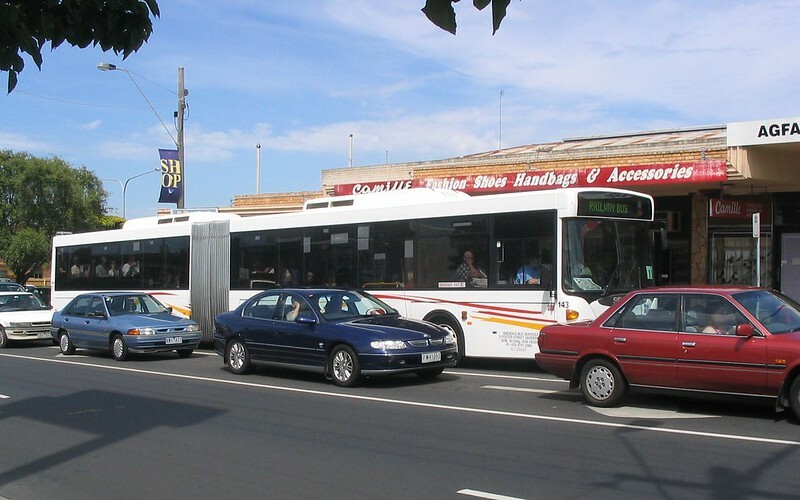 Major north-south routes include the patchy and indirect 822 and 767 services, plus the far better 903 Smartbus along Warrigal Road (on the suburb’s very eastern edge), which is reasonably good on weekdays as a feeder into Oakleigh or Mentone stations, with almost as many services per weekday as the trains. Both suburbs are served by the 703, 630, 824 and other local buses providing east-west services, but none of them are as frequent as the trains, particularly after 7pm and on weekends. Buses of course get stuck in traffic, and average speeds are slower than trains. The 903 from Mentone to Chadstone, about 11 kilometres, is scheduled at 45 minutes in peak hour. Frankston line stopping-all-stations trains (which serve Bentleigh) cover the 12 kilometres from Mentone to Caulfield in 24 minutes in peak. This graph shows that the Frankston line provides far more services than most of the bus routes. This is especially marked on the weekend, which doesn’t directly affect the Census results, but influences whether people feel they can depend on public transport for their travel generally. Note: these figures simply add weekday + Saturday + Sunday services in both directions, so this is not a weekly service figure. Express trains that don’t stop at stations within Bentleigh are excluded. Back to the Census. How does this play out in the transport modes people use? In Bentleigh, 20.8% of people get to work by public transport, well above the Melbourne average. In East Bentleigh it’s 14.9%, slightly lower than the Melbourne average. So Bentleigh is about 40% higher than East Bentleigh. In Bentleigh, average number of motor vehicles in the home is 1.7 — most popular answer: one (39.4%). 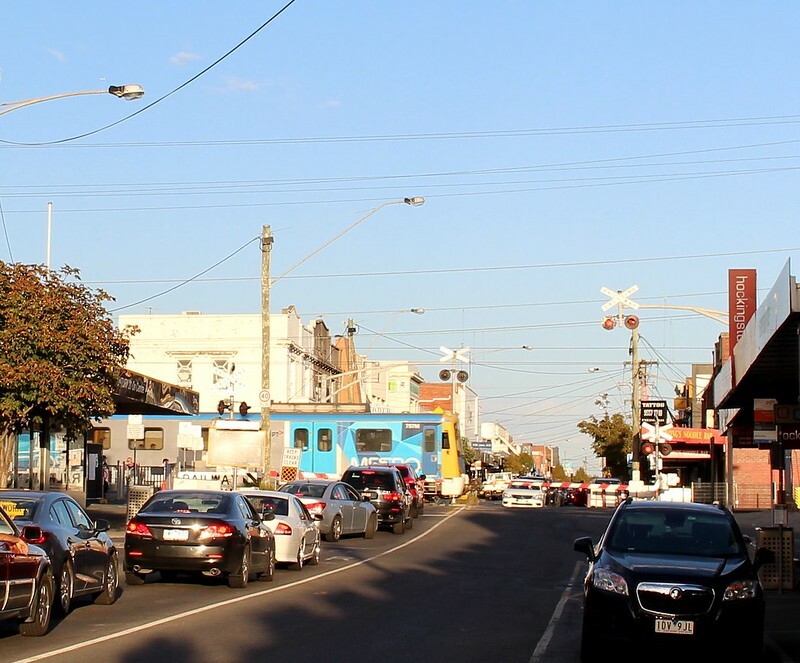 East Bentleigh average is 1.8, most popular answer: two (44.3%). 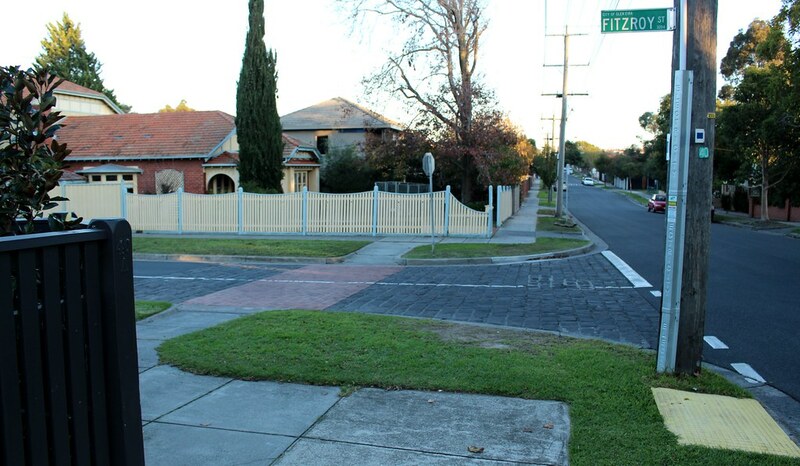 In Bentleigh, 7.4% of households have no motor vehicle. In East Bentleigh it’s only 4.7%. Owning an extra motor vehicle has a huge economic impact on a household. It can easily add up to thousands of dollars per year. Of course, 20.8% public transport mode share in Bentleigh is higher than many suburbs (certainly well above the Melbourne average), but is not as high as it could be. The relevant data isn’t available yet, but my suspicion is that public transport mode share is very high for trips to work along the train line, particularly to the CBD and inner suburbs — and Southland will be another major rail destination once the station opens in November. But public transport mode share is likely to be much lower for trips not served by rail — probably not much higher than non-rail suburbs, because most of the buses (even the 703) offer such poor service. This pattern would be repeated right across Melbourne. Correlation isn’t causation, but it’s pretty clear that in suburbs with good public transport options, people use it more often, particularly where the service offers a good quality ride to a major destination. The key is to keep improving the non-car options: walking, cycling, and of course the public transport service. Not just trains, but also buses and trams, and giving every suburb transport options that are competitive with car travel, more of the time. For PT that means ride quality, reliability, speed/priority, but most of all, service frequency. Also improves frequency along South Road from Moorabbin Station to Holmesglen Moorabbin campus and new private hospital, alongside routes 811/812 and 824. The problem is that, apart from filling a couple of gaps, this new route hasn’t really been designed within the broader context of the existing routes. I’m told there will be consultation, which is good, but so far it hasn’t shown up on PTV’s Get Involved web site — which I hope it would. For a moment, let’s leave aside the question of whether the 822 should be moved to East Boundary Road (yes it should, alongside other changes as part of a broader plan). And let’s assume the funding for this new route has it operating at the same sad frequency as most existing local routes: every 30-60 minutes (there are no service frequency or operating hours details yet). I’d swap the eastern part of 626 with the northern part of this new route. Both routes would have some of the kinks ironed out, and be more logical and easier to remember. This means the 626 would become an east-west route from Brighton to East Bentleigh, then up to Chadstone. 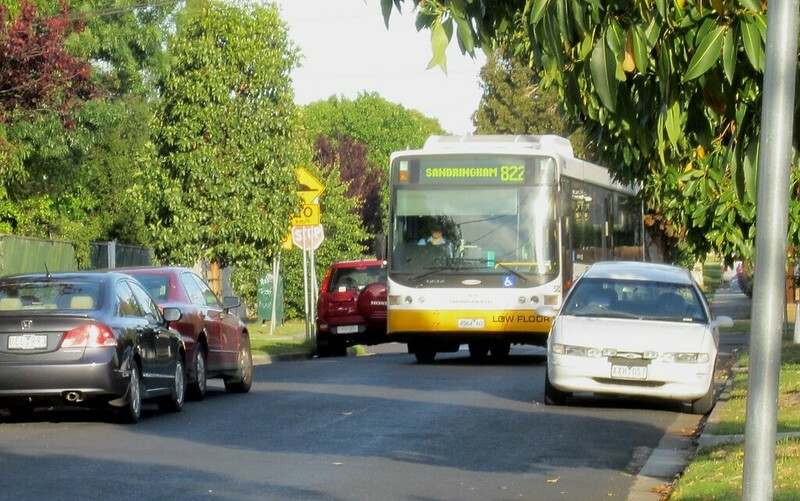 This connects residents in McKinnon with Duncan Mackinnon Reserve and GESAC – not just a theoretical benefit, this was explicitly requested by local residents at a local bus forum last year. The New Route would become a north-south route from Moorabbin, direct up Tucker Road and Koornang Road to Carnegie, then to Chadstone. Again, more direct, easier to remember. 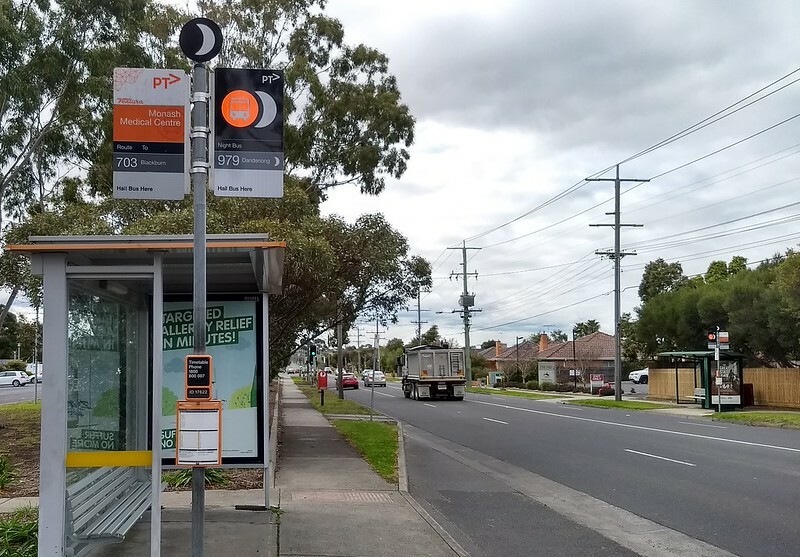 Existing 626 users from Carnegie and areas north of McKinnon Road would simply see a route number change, but would gain easy access to Moorabbin Station at the southern end of their bus route. Another positive change would be to divert the 822 off Marlborough Street to East Boundary Road for a quicker, more direct run, and have the 626 run around GESAC to Marlborough Street and provide the service there. The northbound turn from Marlborough Street right into North Road could be problematic however if the intersection isn’t signalised, and there might be other minor changes needed on East Boundary Road. Some have made the point that the area may not need a new route; that we do need increased frequencies and operating hours on the existing routes — this is certainly true. The 703 is overcrowded at times, and has a very poor evening service after 7pm, and on weekends. Other routes are mostly the bog standard 30 minutes weekdays/hourly on weekends and evenings — the 822 and 767 in particular are worthy of upgrades to cut waiting times and get more users. This proposed route? Good, but with some tweaks, could be better. Thoughts? Post them here, and/or get involved in the public consultation — details to come. Update: Public meeting at St John’s Church (corner Tucker and Centre Roads), 7pm Wednesday 27th September. Another in my series of photos from ten years ago. I found quite a few this month, and also found one from October 2006 which had been missed, and since added to that post. The Bentleigh Festival. Obviously this spot looks quite different now with the level crossing gone. PT spotters will also notice the old-style bus stop sign. 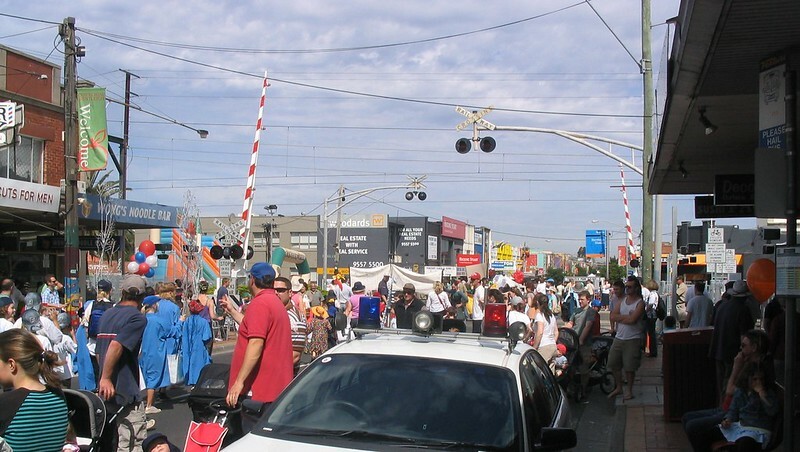 The Bentleigh Festival that year was timed to coincide with rail works on the line, meaning the level crossing in the middle of the precinct wasn’t an issue, except when a works vehicle needed to cross. A rail replacement bus service on Jasper Road. 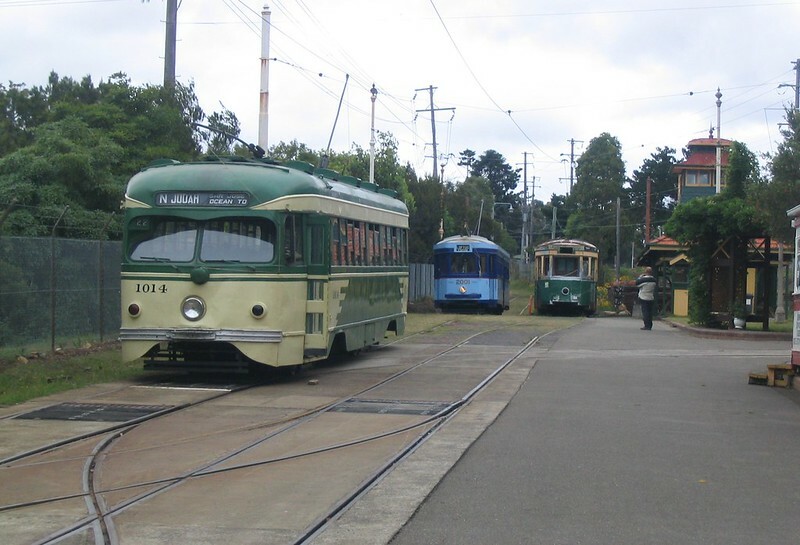 The “Camille” shop later featured in a Metlink advert. 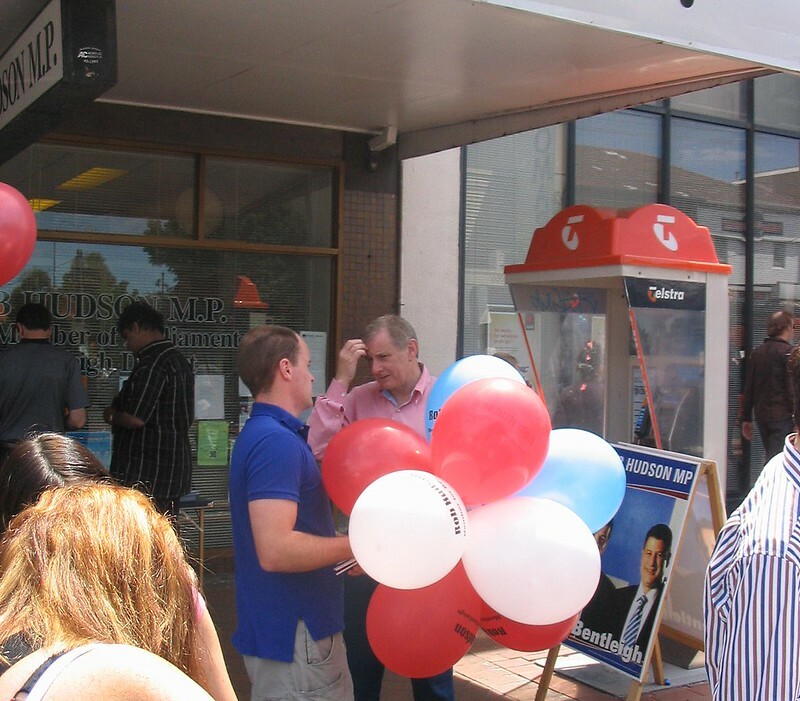 Then Federal Labor MP Simon Crean snapped at the Bentleigh Festival outside then-local state MP Rob Hudson’s office. Simon’s father Frank Crean (1916-2008) was one of four PTUA patrons. It was state election season, so politicians were out and about this month. A bit out of focus. This would have been one of our last photos taken with analogue film, by youngest son Jeremy on school camp, probably on one of those disposable cameras we used to buy for such events. 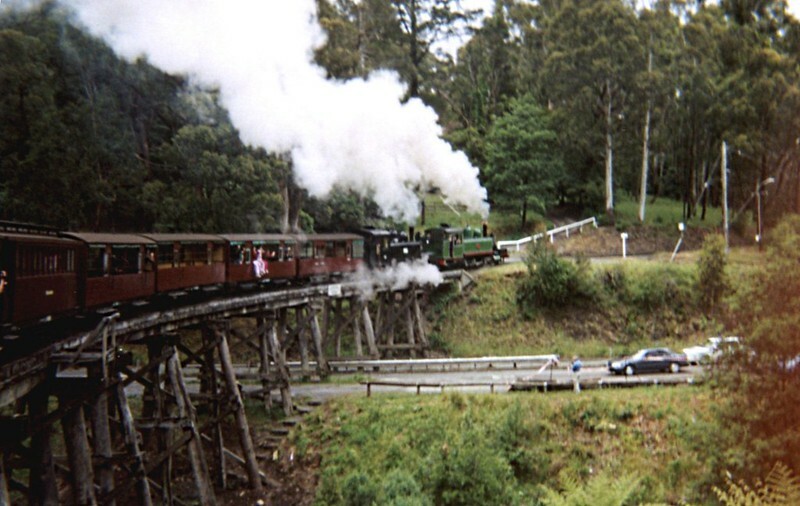 The traditional Puffing Billy photo. 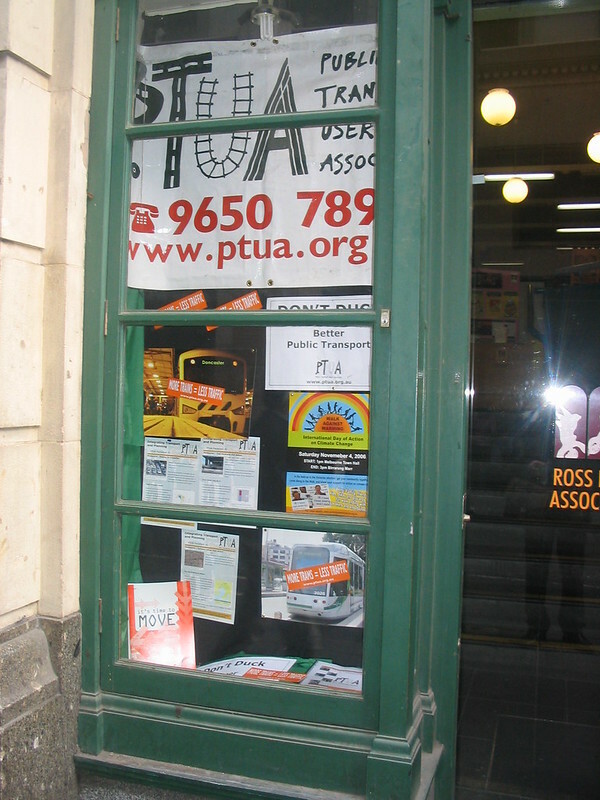 Ross House, home to the PTUA Office, displaying PTUA campaign materials in the window. 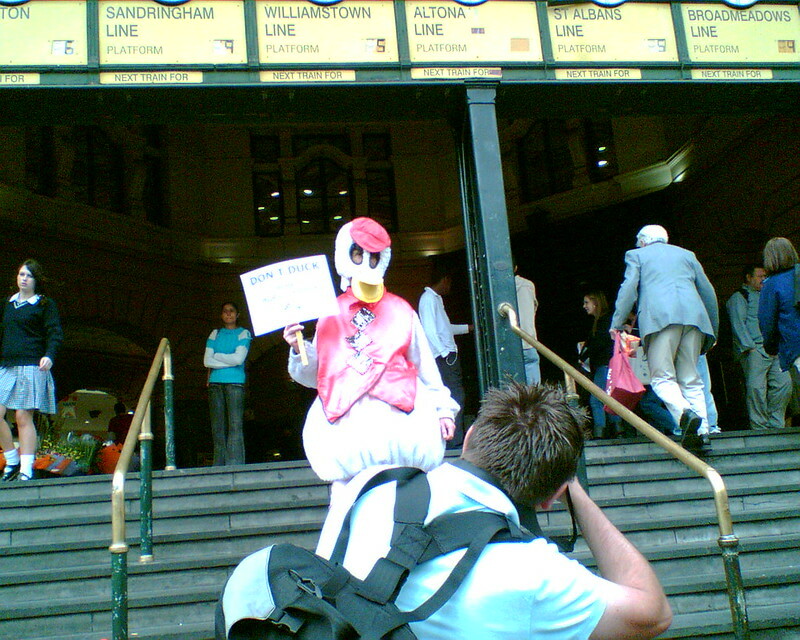 It wasn’t my idea, but putting a bloke in a Plucka Duck suit was an attempt to get some PTUA publicity in the run up to the state election. The sign says “Don’t duck better public transport”. 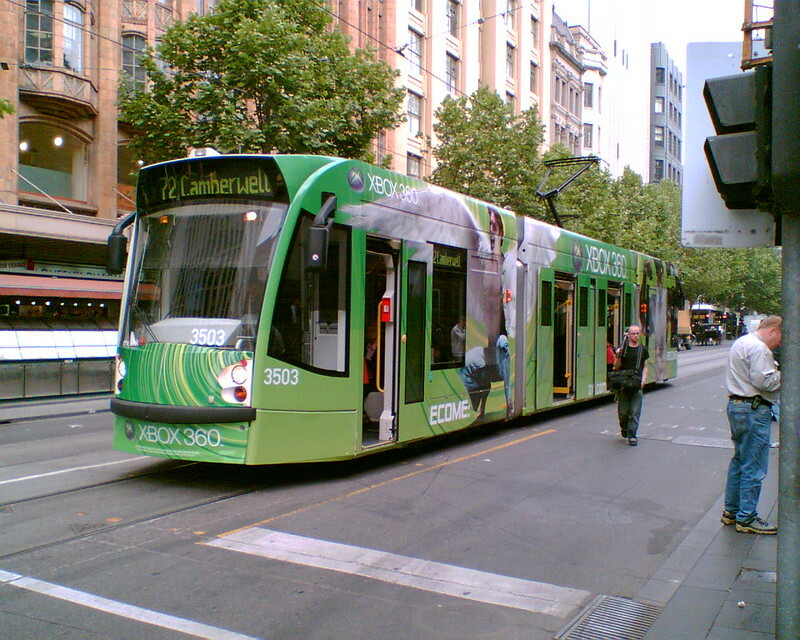 Tram on Swanston Street advertising the then-new XBox 360. 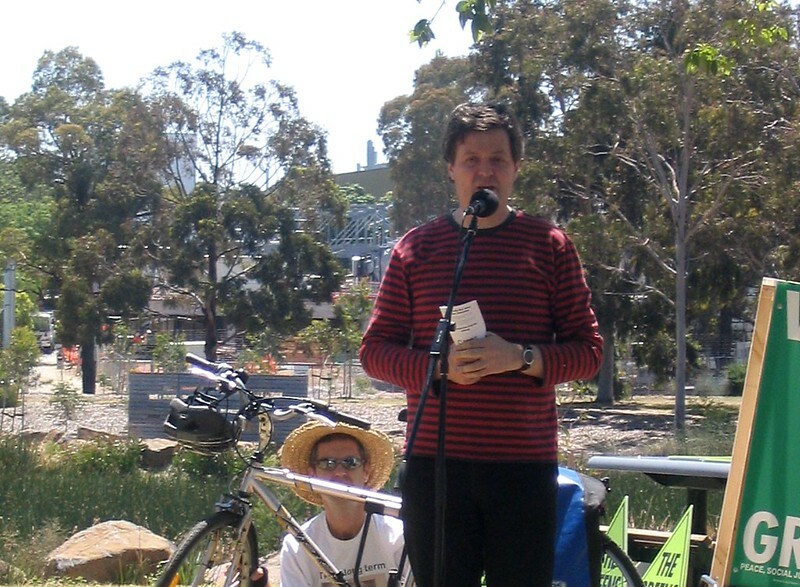 From a rally in Royal Park, organised by one of the local community groups. 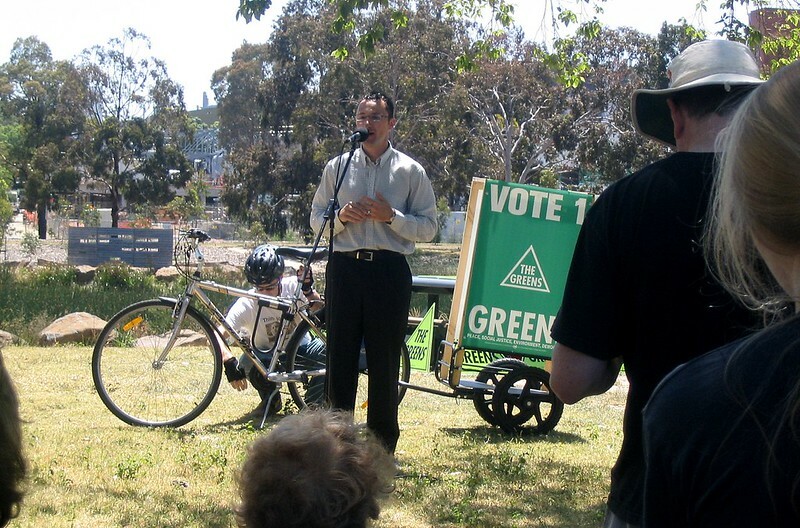 This bloke was guiding then Greens leader Bob Brown around Melbourne, to and from engagements, and also spoke. It is of course current (May 2015 onwards) Australian Greens leader Richard Di Natale. Also speaking that day, in the brilliant way that he always did, was the late, great Paul Mees. 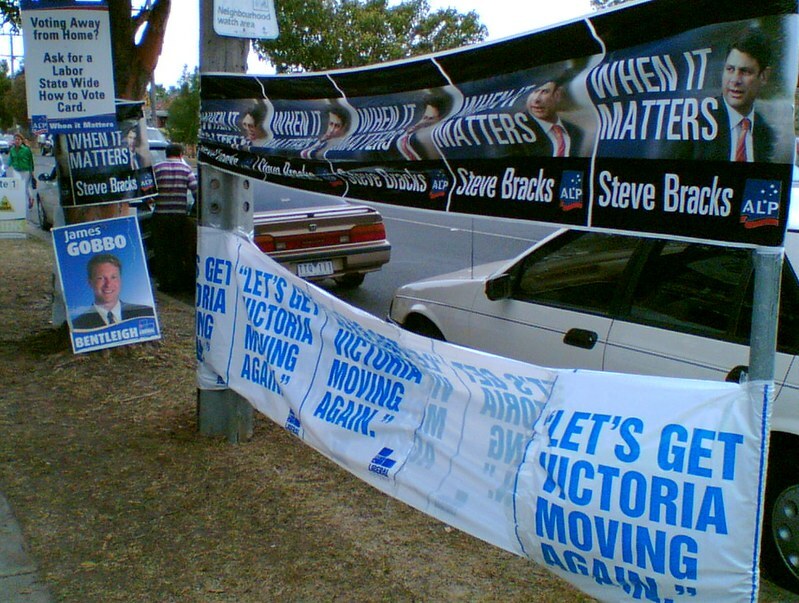 Victorian State Election day, 25th November 2006. The Sydney monorail, since decommissioned. 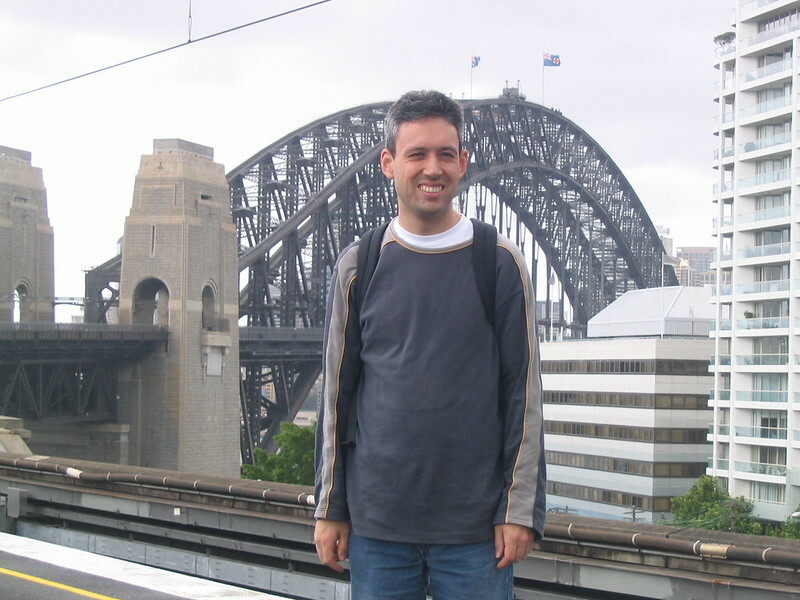 A younger looking me, at Milsons Point railway station. 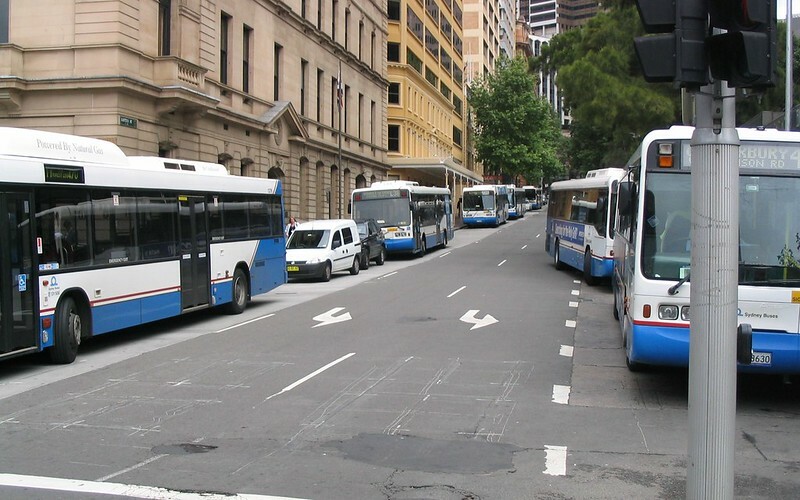 Sydney has just a few buses. This is new Circular Quay. I assume the opening of the George Street light rail in a couple of years will cut the number of buses coming into the CBD… they’re really going to need to fix fare integration before then. Circular Quay railway station. 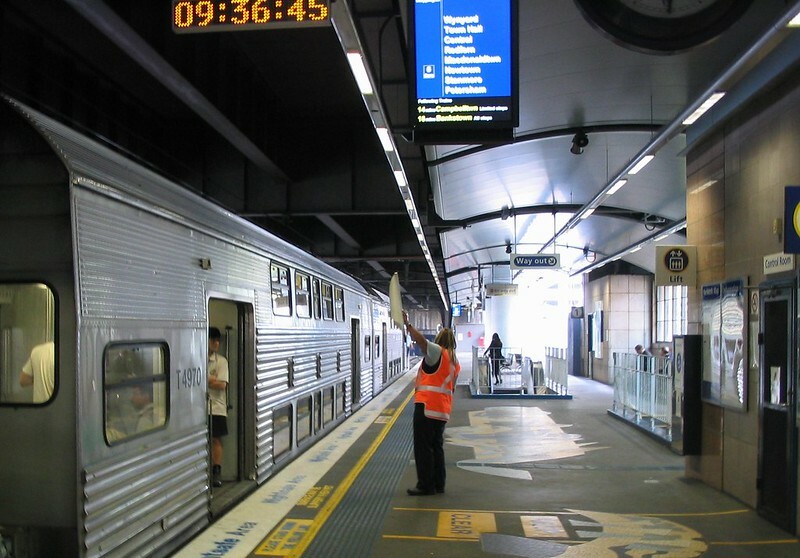 At the time it seemed old-fashioned to have platform staff with flags, but Melbourne deployed platform staff in the following years at busy CBD stations. 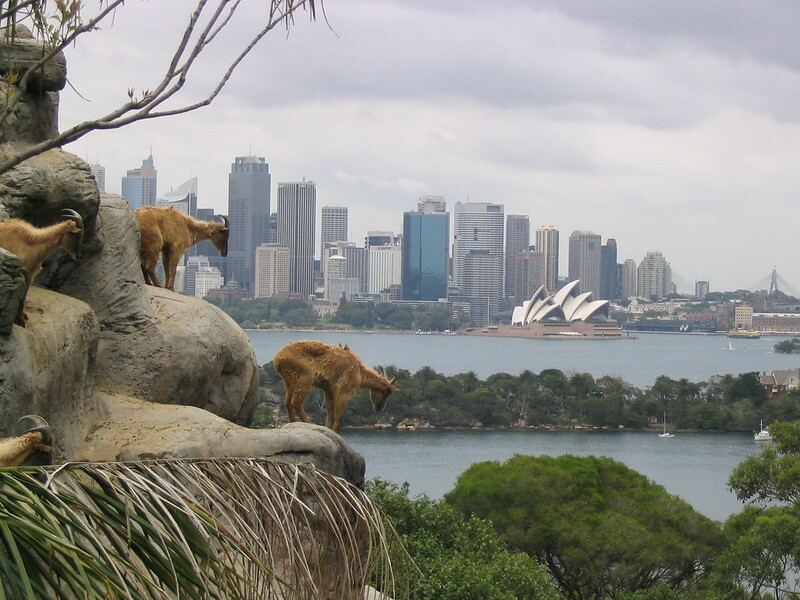 Perhaps my favourite shot of Sydney, at Taronga Zoo. 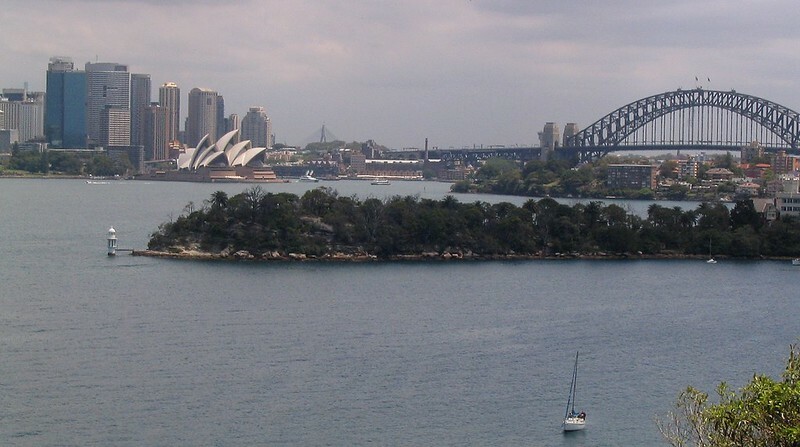 Sydney skyline, also from the Zoo. Circular Quay ferry terminal. 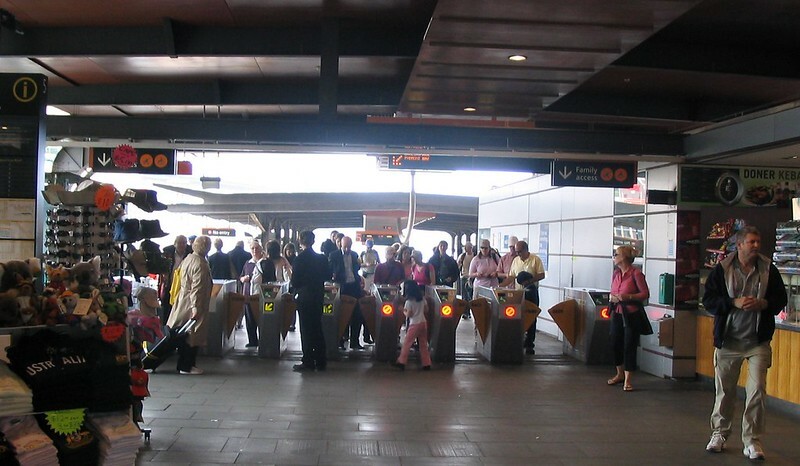 Familiar looking fare gates – the same model was used with Metcard. What if Bentleigh had got Skyrail? A few people have asked me about this in the past few months — what if Bentleigh had got “skyrail”? It’s interesting to consider, though it was never going to happen. Firstly, the timing was wrong. 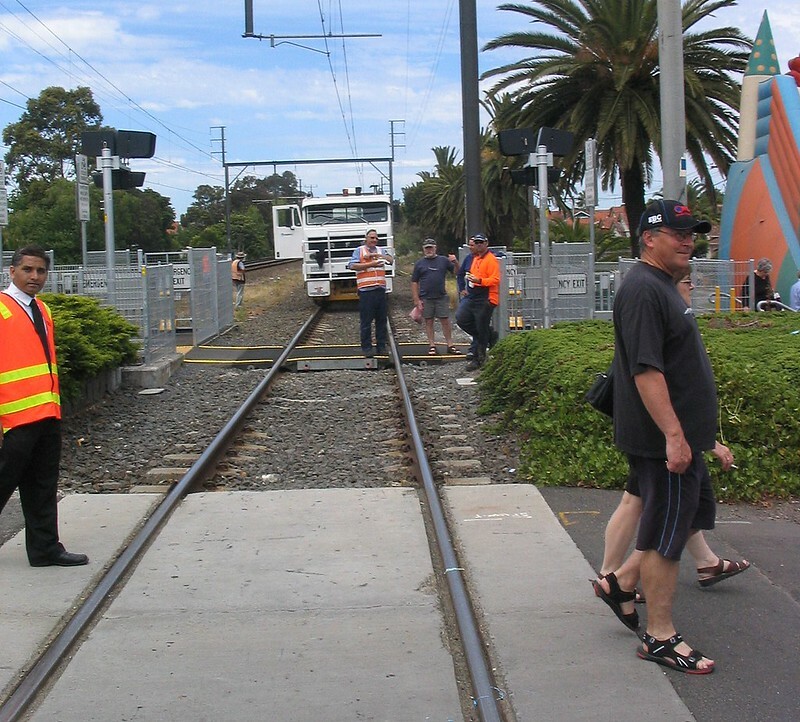 The Coalition had fully funded the Ormond level crossing for removal in May 2014, with designs already having determined that it would be rail under road. In late-2014 the incoming Labor government spotted an opportunity to piggyback the Mckinnon and Bentleigh crossings onto it, which made logistical sense as well as political sense — Bentleigh being a marginal electorate, they knew to have the multiple crossings removed before the 2018 election would be a plus. It was only after the Level Crossing Removal Authority came into being that alternative strategies such as elevated rail have been considered. Secondly, having rail over road may have caused complications at the southern end, where the rail line goes under Brewer Road, necessitating rebuilding of the road overpass. There are pros and cons with every design. By missing skyrail, we missed out on some good outcomes. No doubt some locals are relieved rail is going into a trench. But rather than elevated rail and a park outside their back fence, they get an impassable cutting. 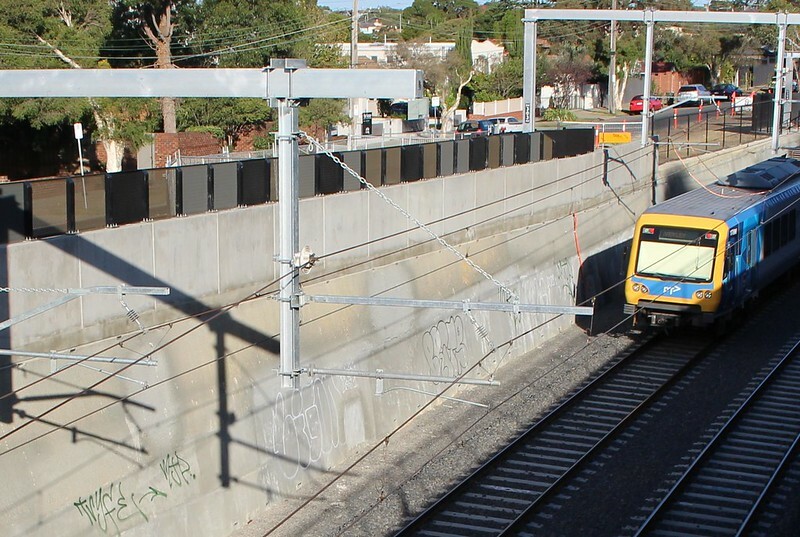 The jury’s still out on whether noise is worse at ground level from skyrail or trench rail. 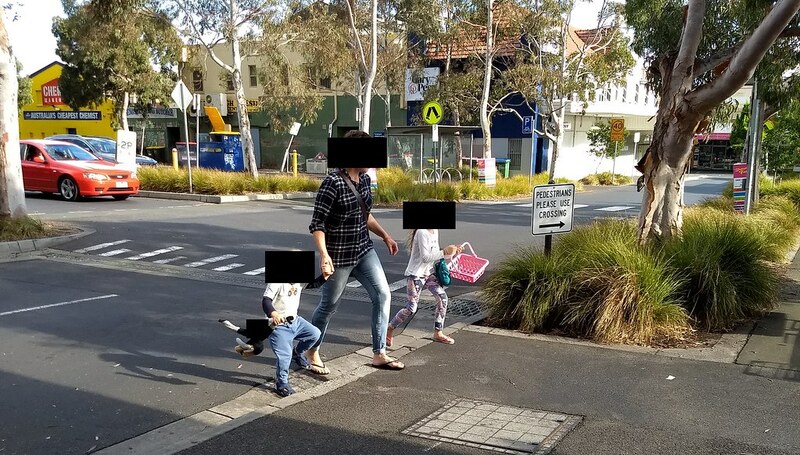 Murray Road pedestrian/cyclist crossing — local campaigners are continuing to fight for this, but the presence of a storm water pipe means the project team says the only viable solution is an at-grade crossing. Will it happen? Only if the safety audit comes up green and the minister can stomach approving an additional (non-car) level crossing as part of a level crossing removal project. With skyrail it would have been easy. More pedestrian access — apart from Murray Road, there could have been additional pedestrian/cyclist (and possibly even motorist) crossing points anywhere and everywhere. 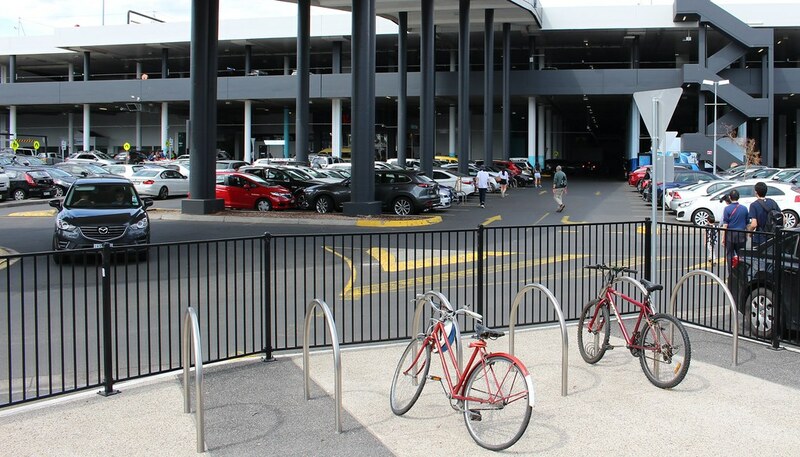 The most obvious locations are midway along Glen Orme Avenue (Ormond, where the tennis courts access is provided), connecting Foch Street and Leila Road (Ormond), Blair Street and Ward Street (Bentleigh), and connecting the car parks just south of Centre Road. Mind you there aren’t unlimited opportunities, as for most of the length of the rail line in this section, there are houses on at least one side. More efficient train operation. Apparently it can be a difference of up to 6% of energy consumption, as stations underneath ground level require extra braking and extra power to depart and accelerate out. This will be particularly apparent with the design as planned, where the line will come back up to surface level between stations. Better stations. With a high proportion of costs of trenched rail going into moving underground services, and bus replacements, if these can be avoided then more can be spent on the stations and other outcomes — this seems to be what’s proposed on the Dandenong line. It’s not really working out cheaper overall, but stations are getting fully-enclosed weather cover, and (at least some; it’s not finalised) escalators — none of the Ormond-Mckinnon-Bentleigh stations will have escalators, although parts of the platforms will be underneath the roads, partly enclosing them from the weather. Future 4th track without disruption. Supposedly if skyrail goes ahead on the Dandenong line, the 3rd and 4th tracks will be able to be built largely without disrupting the initial two tracks. 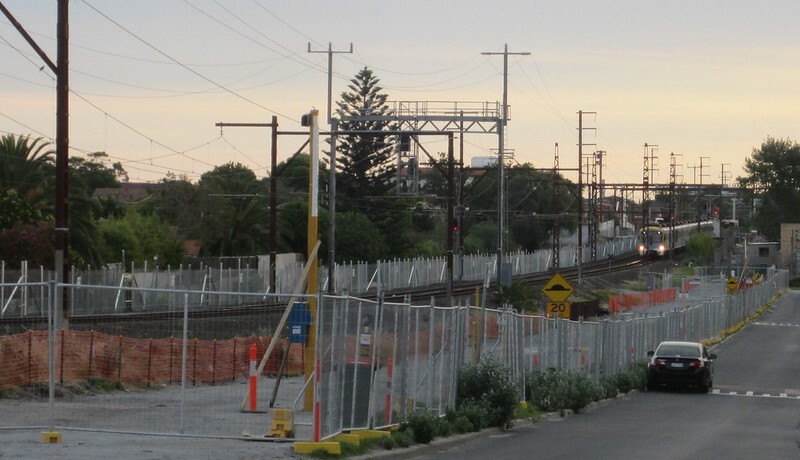 It’s unclear what will happen if the 4th track ever goes in on the Frankston line. It might require partial closure again to widen the cuttings. Saving more trees. While a special effort has been made to remove and store the palm trees for re-planting later, almost every other bit of flora in the corridor has been cleared away. From some angles it resembles a moonscape. As this Dandenong line FAQ notes: One of the benefits of the elevated rail design is the ability to retain trees and vegetation close to the rail corridor. By elevating the rail line, we minimise our impact to the root systems of trees, and are able to retain a significant amount of trees within the rail corridor. Parkland underneath. 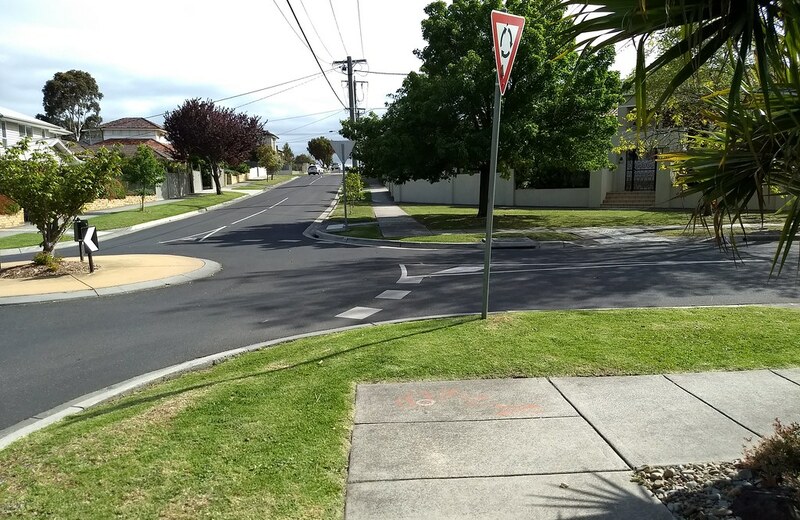 Glen Eira council is forever reminding us that they have less green space than anywhere else in the state. Some of what little green space there is in Bentleigh will be taken by car parking, to make up for a small loss of spaces at Ormond. Skyrail could have enabled more green space right along the line. Continuous bike/shared user path. 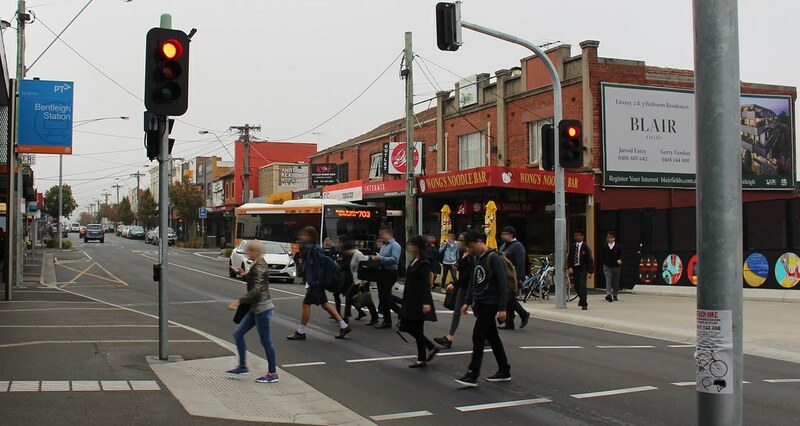 The current project will restore the bike path from Bentleigh to Mckinnon, but there still won’t be a connection from Mckinnon to Ormond — cyclists and walkers have to divert via local streets, because the rail corridor is too narrow. If it were skyrail, a shared user path could easily fit underneath. A more prominent train system. Some might not consider this important. But out-of-sight, out-of-mind is a concern. At ground level or elevated, the trains are prominent. Hide them away and they are less obvious to people. Does that influence how people think about their transport choices? I don’t know. Better views from the train. OK, no biggie, but it’s more pleasant looking out over your suburb than staring at a plain (or graffiti-covered) wall. It’s also easier to navigate if you can see where you are. That said, the current plan is for trains to return just about to street level between stations. Roller coaster! Train trench, Gardiner. Opened in January. Already tagged. Road and rail shutdowns. The LXRA claims Dandenong skyrail will involve about 15-20 weekend shutdowns, and two longer shutdowns of 9 and 16 days. Yesterday the government claimed that if it was done as trenches, the Dandenong line would require shutdowns “for 230 days during construction” and that “these closures would be between 30 hours and eight weeks long”. For the Bentleigh project, it’s shaping up as numerous weekend shutdowns, plus 9 days (January 2016), 10 days (Easter 2016) and the big one: about 35 days (TBC; June-August). That’s a total of about 70-80 days in all, though in some cases (such over the past weekend) they closed the line for the weekend as early as 7pm on Friday. Each time, they warn of travel time increases by up to 45 minutes. During the January shutdown, lot of people gave up and drove, switched to other train lines (causing crowding elsewhere), or made other arrangements. Hopefully it would have been possible to stagger the construction, building elevated new rail lines above the older ground level lines while they continued to operate. Risk of unplanned disruptions. So far I’m aware of only one incident: on February 12th, excavation at Bentleigh for the crossing hit a gas pipe, causing a leak, with a sudden road and rail line closure for some hours. As passengers who have been caught up in one know, any unplanned rail closures are messy. Buses often can’t be got to the scene quickly, and are rarely sufficient, especially if the closure extends into peak hours. Truck movements. Apparently 280,000 cubic metres of earth are to be dug up and moved out. Expect to see thousands of truck movements in the area, particularly during the main shutdown in June/July/August. E.E.Gunn Reserve partly closed. Parts of this park will be closed for months to temporarily store the earth. One of the benefits of skyrail is that components can be built off-site and shipped in and assembled, like some kind of massive Ikea flatpack — and of course there’s little or no earth to dig out and take away. 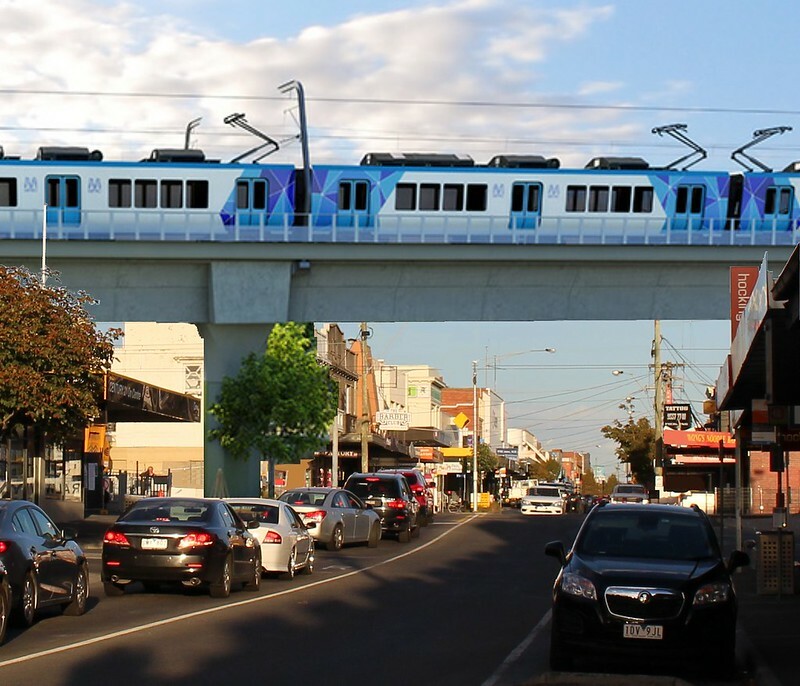 Bentleigh now vs what if Bentleigh had skyrail? Yeah, my Photoshop skills aren’t up to much. Would it have been possible? A Vicroads contact suggested skyrail might not work over North Road, because of space issues, but a slight re-alignment might have solved that. Certainly the road overpass in Brewer Road in Bentleigh may have caused problems. Would it have been politically feasible? I wonder if the government could have stomached the risk in the very marginal seat of Bentleigh? They may yet face a similar conundrum further south on the Frankston line. We might never really know, but had the concept of elevated rail been considered earlier for the Bentleigh area, the potential was there for a project with far fewer disruptions, and some markedly better outcomes for locals.